Home > Drifting > Video > [VIDEO] Rafaat Al Yahyai from Oman drifting at 2017 Red Bull Car Park Drift Series Final at Sirbb Circuit in Kuwait. [VIDEO] Rafaat Al Yahyai from Oman drifting at 2017 Red Bull Car Park Drift Series Final at Sirbb Circuit in Kuwait. 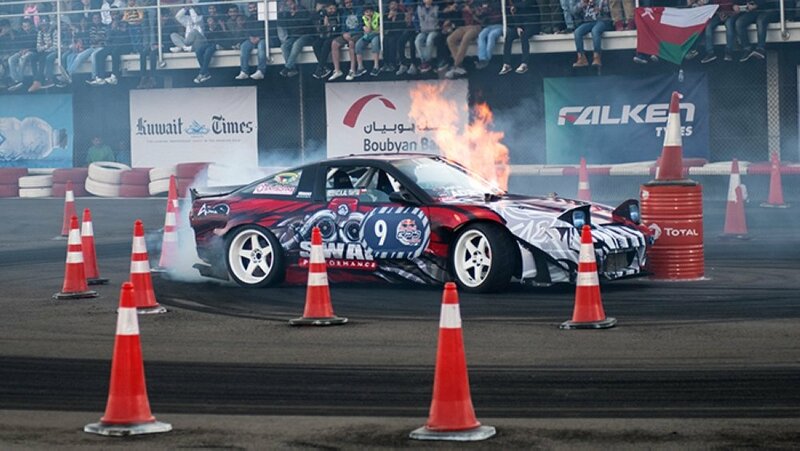 Watch video of the Omani national drifter Rafaat Al Yahyai drifting his Nissan Silvia to his first title as 2017 King of Red Bull Car Park Drift at the Kuwait City,Sirrb Circuit. Oman claimed the title at the Red Bull Car Park Drift Series Final in Kuwait as Rafaat Al Yahyai, the 2017 King of Drift, delivers a stellar performance.